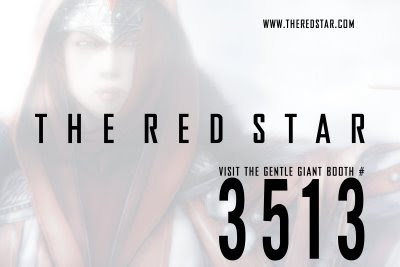 Sony PSP – Christian Gossett’s THE RED STAR™ on sale here. Inspired by The Red Star™, one of the most critically acclaimed independent graphic novels of the decade, Saucony® introduces the Jazz Lo Pro – Red Star sneakers, only 800 pairs created world-wide. 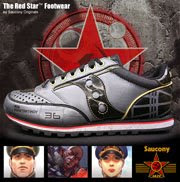 And like the characters that inhabit the world of The Red Star™, these shoes are more than they appear to be. Flexible and lightweight, yet full of style, these limited edition shoes will be on sale from Team Red Star at Booth #3513 or buy them online at zappos.com.